This time of year, there’s nothing better than snuggling in front of a roaring fire, wrapped in a thick throw with a hot cup of cocoa. For many of us the thought of a secluded log cabin sat far away in a snowy mountain amongst pine Christmas trees is merely a dream. but this week we’re going to help you recreate that cosy warm feeling of an Alpine lodge in your own home. 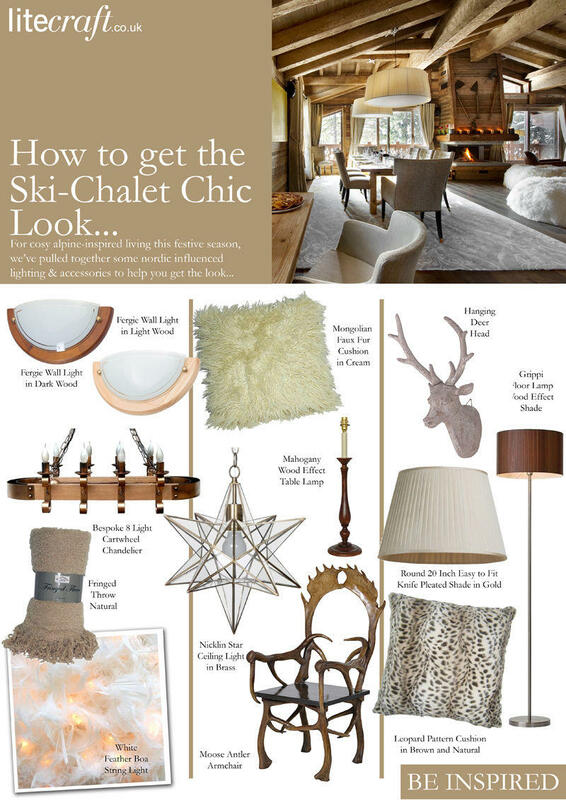 With rustic charm and oozing warm fuzzy feelings, what’s not to love about the ski-chalet chic look? This look exudes warmth and a welcoming aura for visitors so incorporate it into your home now just in time for Christmas. When choosing this interior for your home try not to go over board with the look, most homes have their own style and character such as Victorian Terraces or a 1930’s Semi so you don’t want to loose this when decorating. Adding a few simple touches of chalet chic style will be sufficient enough to give that overall warm feeling. A typical log cabin is built from actual wooden logs. Most styles originated from Scandinavia and Eastern European countries where the winter months are a little more extreme. This style of home is ideal for colder climates, with the right insulation and the addition of a log burning fire, log cabins can be warm and cosy. Obviously when it comes to recreating this look in your own home, rebuilding your home with wooden logs probably isn’t the best idea. Instead add a wooden element with the use of log imagery and wood finished accessories. 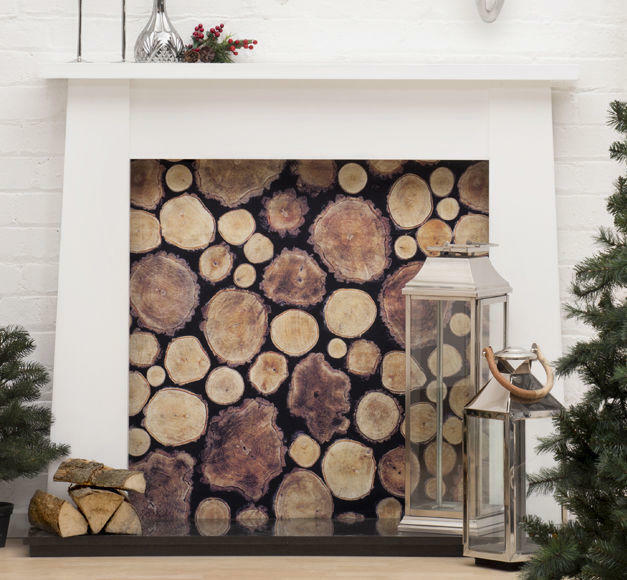 Log pile wallpaper is available in many home-ware stores and online websites, wallpaper to give the illusion of wooden log piles. If this look is a little too bold for you, scale down the print and feature it in several photo-frames and place on a bare wall as a little feature instead. Wall art such as stag and deer heads are all the range this year and they’ll add a touch of woodland to your home too. Place above your fire place or on an accent wall to get the full cabin effect. Add rustic charm by choosing lantern style lighting. This will give your interior authenticity as well as character. 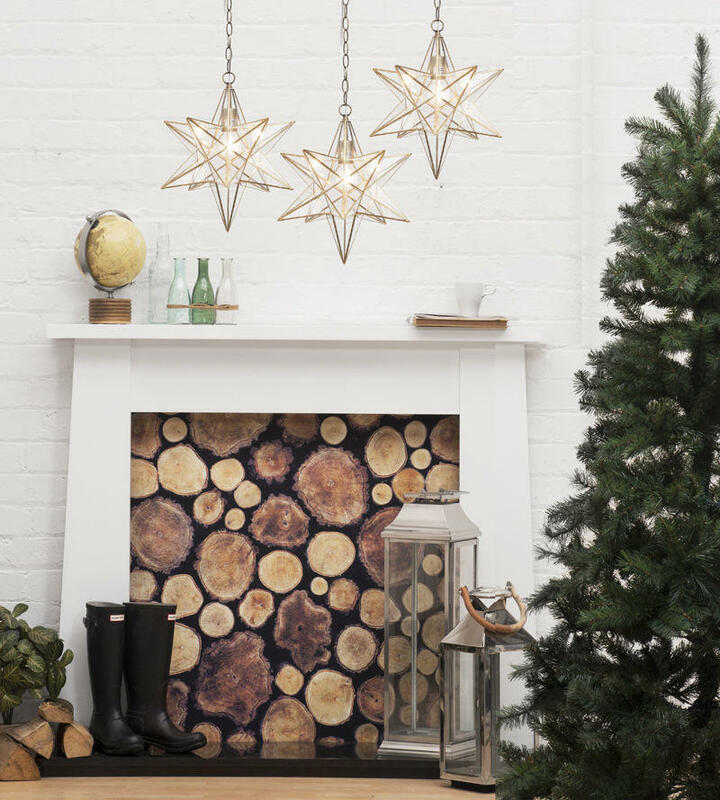 Our Nicklin Star Glass Lantern will add a little twinkle to your interior and is great for the festive season, whilst our Hall Lantern boasts a more chic element. 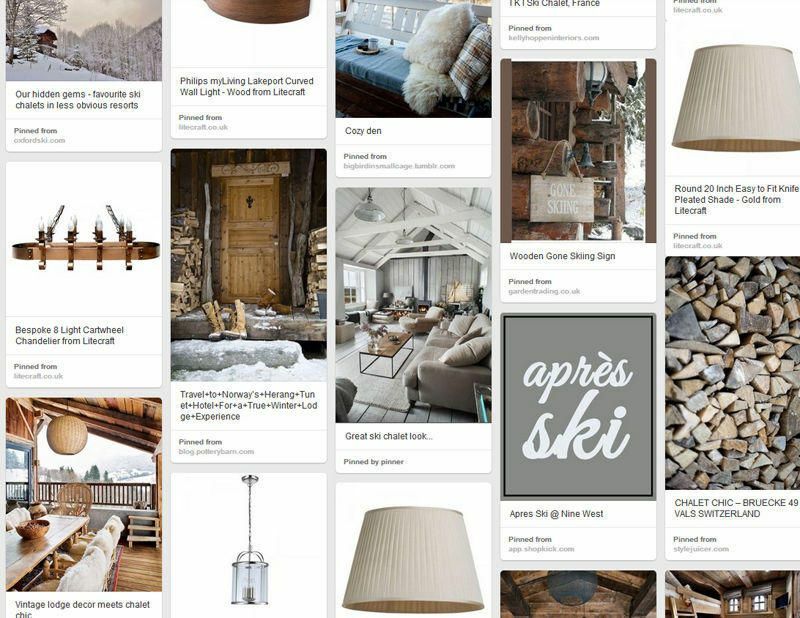 To compliment the wood aspects of your ski chalet chic interior choose wood finished lamps and shades. Wooden accessories will add warmth and contrast as well as giving a diffused ambience, which makes an overall cosy and relaxed atmosphere. Our new Grippi 1 Light Floor Lamp features a stunning wood effect shade that boasts a natural wood grain effect when illuminated. Pair this with our Dark Wood Fergie Wall Light for extra ambience. Also see our Honey 1 Light Wicker Wave Ceiling Pendant – Brown and Wicker Dome Easy to Fit Ceiling Light Shade for other wood items. For a hint of frivolity choose our White Feather Boa String Light. The soft feathers will work perfectly with the soft faux fur accessories whilst also a giving a festive sprinkling of frost. Traditional log cabins will usually display some sort of antler paraphernalia whether it be a bespoke chandelier or antler wall art. There are many websites that offer faux antler plaques. 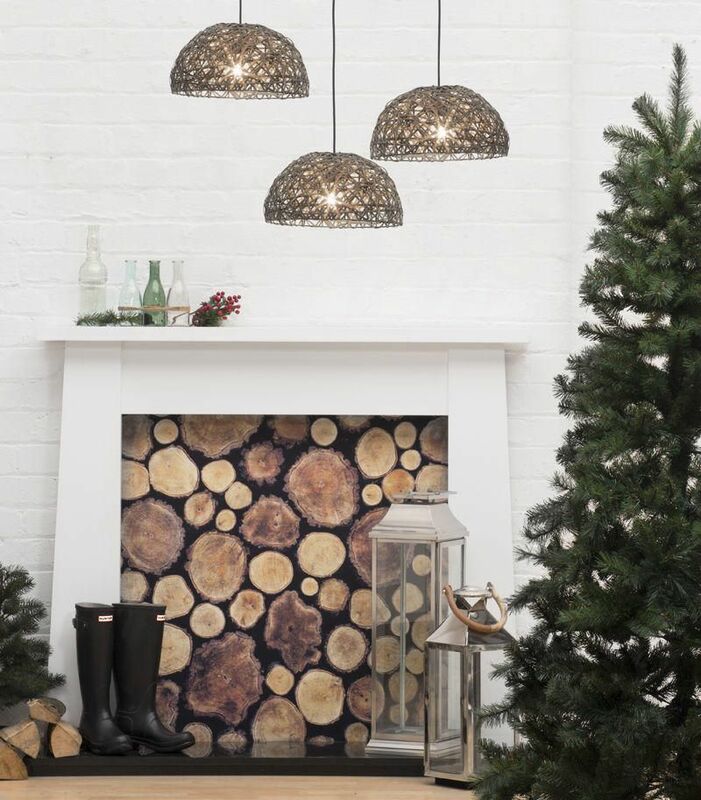 Faux candelabras are also perfect for a cabin chic look, our Bespoke 8 Light Cartwheel Chandelier boasts a genuine oak frame and forged metal detail, make a statement with out 18 light option or stay modest and choose our 4 or 6 light version. Tap into the chic side of this look by choosing understated ceiling shades, our new Knife Pleated Shade Collection and Ribbon Drum Range will give a subtle diffused look without being too overbearing. 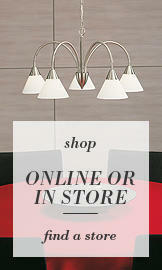 If you want to add a bit of sparkle, choose a crystal effect chandelier. 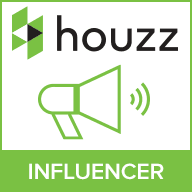 Keep to the rustic charm when it comes to accessorizing your ski chalet chic interior. Traditional stoneware displayed on shelves in the kitchen area will give a rustic nostalgic feeling. A ski chalet chic interior should be understated and laid back so don’t go over the top with too many accessories and decorations. During the festive season try to keep your interiors simple and rustic, dress your tree minimally to give it an authentic woodland look. If you do want to decorate your tree, choose wooden and neutral colours and try to keep the look understated. 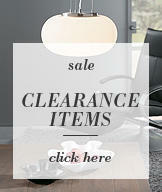 This will keep your interior looking chic and classy. To add depth, contrast and layering to you log cabin home the’re no better addition that some warm cushions and throws. Dress seating areas and beds with faux fur and Fringed throws, the more the better. Our Leopard Pattern Cushion in Brown and Natural will add that nature inspired element to your interior as well as warmth. So scatter these on throws and sofas for extra comfort. Bedding should be plump and cosy with traditional style patterns, our Vintage Ruffle Range features a pretty floral design and includes a sweet woodland owl cushion. Our Alicia Duvet Set boasts a gingham and floral design which is perfect for a traditional country feel too. Again, it’s all about the wood. Wood flooring will give a warm and cosy feeling to the room, hardwood flooring is the obvious choice but for a budget friendly option choose laminate flooring. 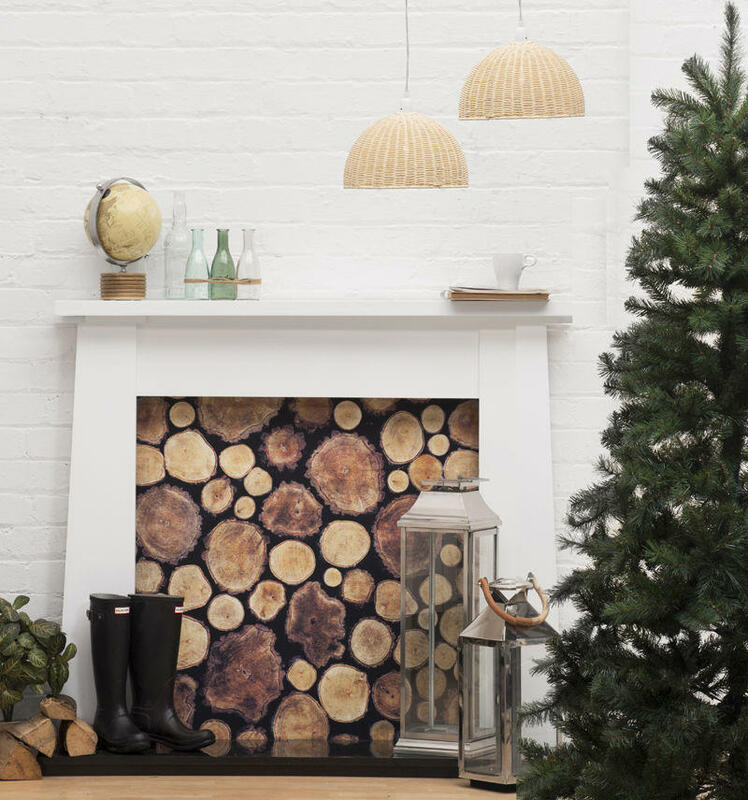 Dress up flooring with some shag pile or faux animal skin rugs, this will add warmth and depth whilst reinforcing the natural woodland aspect of the interior. If you’re not a fan of wood flooring then choose a neutral carpet with a rustic weave, such as basket or herringbone, this will keep your interiors looking traditional and homely. Log cabin furniture would usually consist of thick wood finishes, rustic designs, hints of leather and wool throw-over fabrics. Choose rustic looking furniture that looks like it’s just been plucked from the depths of the forest. A rugged look will add charm and character. If you’re not brave enough to delve in with some antler inspired furniture, opt for some soft leather or suede instead. It’s possible to incorporate many styles of furniture into a ski chalet chic interior, just try to keep to an earthy and neutral palette when choosing the finish and fabric.